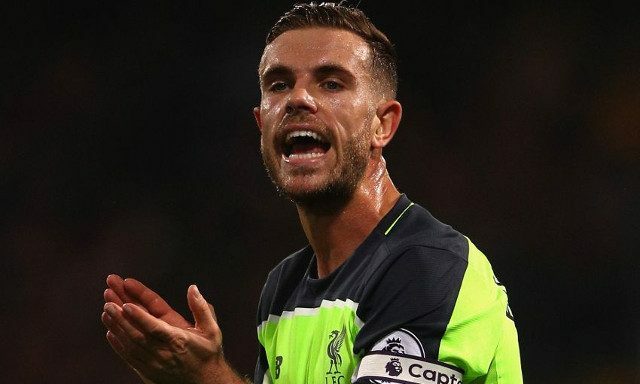 Reds captain Jordan Henderson has praised his team for overcoming the poor defending that allowed Crystal Palace to stay in the game in yesterday’s win at Selhurst Park. Though Liverpool were dominant throughout the match, they will be fully aware of how they must stop giving goals away so easily. Dejan Lovren will certainly be waking up a relieved man today after helping his side to a 4-2 win following his horrendous first half mistake that allowed James McArthur to level the game at 1-1. Henderson has praised the central defender and the entire team for their response to early set-backs. Lovren was superb following his error and played with the kind of thick-skinned approach that has helped him rediscover his form after a slow start to his Liverpool career. What better way to make amends for your mistake by going straight up the other end and putting your side back in front. Not only was his headed goal a demonstration of his determination to put things right, but it was also a rare demonstration of what a threat we could be from corners. The team responded to conceding two goals in the way that we wanted them to. They made sure that they didn’t shy away from continuing to play their attacking football and they combated signs of Palace having a quick start to the second half. It was a mature performance from Jurgen Klopp’s men and one where each player knew his job and kept his concentration until the final whistle.